This is a devastating disease on Wheat. It causes low yields and can make the grain poisonous to livestock by producing mycotoxins. We have seen this disease in our trade area before. 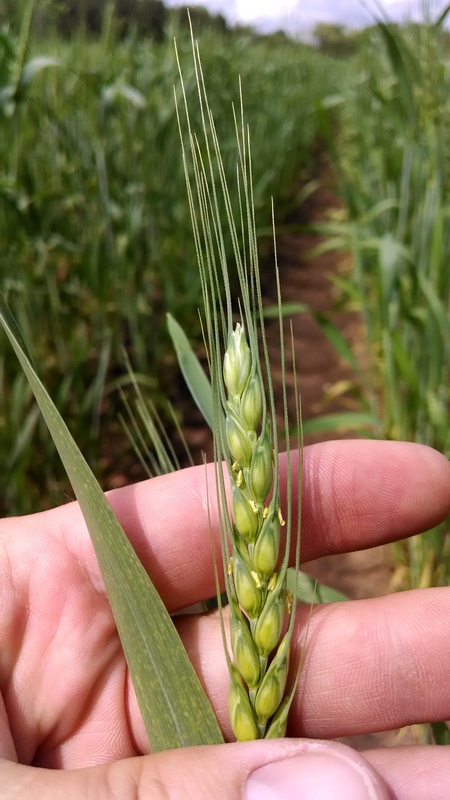 The best way to control it is to spray your wheat now, once you have full head emergence, with a fungicide. I would suggest using a product like Prosaro at 6.5 to 8.2 oz. per acre. Please use a lot of water per acre when spraying. In my opinion use a minimum of 15 gallons per acre, 20 gallons is best. Always check your fungicide label before making any applications. If you are unsure on your wheat’s fertility levels consider a tissue and soil sample. Contact your Agronomy Advisor at Allied Cooperative for more information on Wheat management.